Without a doubt, one of my favorite aspects of human society is our love of puzzles. We have this marvelous desire to challenge each other with all sorts of mechanical puzzles, logic games, pen-and-paper puzzles, apps, and riddles, and arguably the only thing better than creating such diabolical obstacles is overcoming them. But humans aren’t the only puzzle solvers on the planet. In previous blog posts, we’ve explored the puzzly skills of octopuses and cockatoos, two immensely clever species that’ve each tackled their fair share of mechanical puzzles. Sure, they’re not solving Sudoku grids or unraveling centuries-old mysteries like Nicolas Cage in National Treasure, but they are putting memory, dexterity, and problem solving to the test with remarkable success. 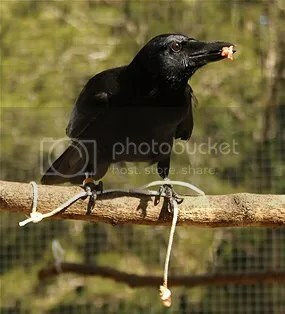 And today, we welcome a third non-human species to the pantheon of Earthly puzzle solvers: crows. 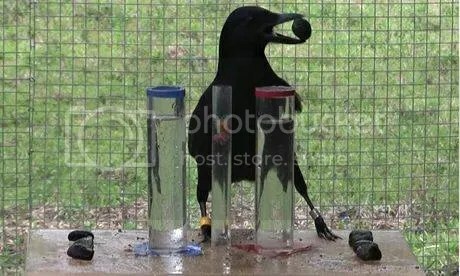 When anti-crow traps and sweeps began thinning their numbers, the crows responded by building multiple fake nests to mislead and flummox employees tasked with controlling the bird problem. And with puzzly skills like those shown in the video on their side, those crows could prove to be an even bigger challenge than they expect. Thanks for visiting PuzzleNation Blog today! You can share your pictures with us on Instagram, friend us on Facebook, check us out on Twitter, Pinterest, and Tumblr, and be sure to check out our library of PuzzleNation apps and games! Puzzles are for the birds. The vast majority of topics covered by this blog involve puzzles created, solved, and enjoyed by humans, but every once in a while, I stumble across a story that reminds me puzzle-solving is hardly restricted to bipedal opposable-thumb-toting mammals like ourselves. 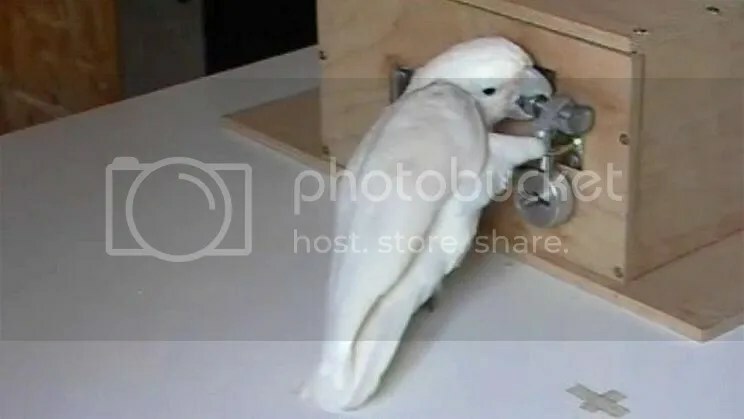 Scientists recently tested the Goffin’s Cockatoo’s ability to manipulate various locks and deadbolts to see both how the birds negotiated the locks (which often operated in sequence, requiring several different actions in a certain order) and then whether the birds would apply previously-learned patterns to new variations they encountered. I guess I shouldn’t be surprised to add another species to the list of puzzle-solving creatures. After all, we’ve got anagramming dogs and word-weaving spiders here at PuzzleNation, so there’s plenty of precedents.